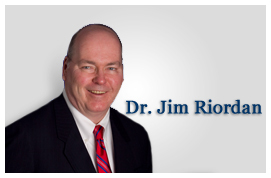 Dr. Jim Riordan initiated the MBA Sport Management program at Florida Atlantic University on July 1st, 2000. Prior to coming to South Florida, Riordan was Director of the Masters of Science in Sport Administration program at Canisius College in Buffalo, NY. During his five year tenure in Western NY, Riordan placed over 80 percent of over 60 graduates in full-time positions in the sports and entertainment industry. Riordan’s seven- year placement record at FAU is close to 90 percent. The Miami Dolphins, Miami Heat, University of Miami, Florida Panthers, Radford University, Boston Bruins, Global-Spectrum, Jacksonville University, Florida Marlins, USOC, Toronto Maple Leafs, the LPGA, Conference-USA South Florida PGA, the ACC, and Iowa State University are some of the organizations that have hired FAU MBASport students under his watch. Riordan served as Director of Training and Quality Control for the New York Mets, as well as assisting in the management of Shea Stadium. Between 1980 and 1983, Riordan served as an Assistant Director of Stadium Operations for the West Side Tennis Club (Forest Hills, NY) and the National Tennis Center (Flushing Meadow, NY) the former and current home of the US OPEN TENNIS CHAMPIONSHIPS. In August of 1983, he was named Director of Security and Event Services for what is now known as the Wachovia Spectrum (Philadelphia). At 22, Riordan became the youngest individual in a major market to hold such a position. In addition to his Spectrum duties, Dr. Riordan served as Director of Security for the Philadelphia Flyers of the NHL and assisted in the planning and implementation of crowd management operations for major outdoor concerts that included the Grateful Dead, Bruce Springsteen, Beach Boys, and the Live Aid benefit concert held in 1985. Other major events that he has performed similar duties for include the 1987 Stanley Cup Finals, official visits to Philadelphia by Hillary Clinton and Nelson Mandela; to Richmond (VA) by Margaret Thatcher, to New York City by Pope John Paul II. Riordan worked for Spectacor Management Group (SMG) between 1989 and 1994. Riordan served as Manager of Event Services at Long Island’s Nassau Coliseum, as Director of Operations for the Richmond (VA) Coliseum and Mosque Theater, and as Director of Operations for the Philadelphia Civic Center. In 1996, Dr. Riordan was hired by the Atlanta Committee for the Olympic Games to serve as Sector Coordinator for the Olympic soccer medal-round site, Sanford Stadium at the University of Georgia. In 1999, he was retained by Contemporary Services Corporation (CSC) as a crowd management and event operations consultant for Super Bowl XXXIII in Miami and for XXXIV in Atlanta. In 2004, he wrote a textbook chapter on “Sports as a Leisure Experience” and has served as an expert commentator on sport, entertainment, stadium/arena and crowd management issues for The Sports Business Journal, Athletic Business, South-Florida-Sun Sentinel, Miami Herald, BusinessFirst, Tampa Tribune and WMAQ-AM (Miami)and ESPN’s Outside the Lines Nightly. In 2003, he served as a special consultant to the chair of the FAU Director of Athletics search committee. In 2004, he was named a member of FAU’s Athletic Advisory Board, and served on the committee that coordinated FAU’s Department of Athletics NCAA Self-Study Re-Certification. He served for two years as the NCAA Faculty Athletic Representative for FAU and was chair of FAU’s Athletic Advisory Board. In 2006, Dr. Riordan was named a member of the National Advisory Board of the University of Washington’s Executive Education Masters degree program in Intercollegiate Athletics Management and served as an adjunct professor there in 2007. He is a peer-reviewer for the NCAA Self-Study/Re-certification program. Riordan, 53, holds a BS and MBA from Saint John’s University in New York and has completed doctoral work at Temple University in Philadelphia. He holds a PhD in Higher Educational Leadership-Higher Education from Florida Atlantic University and is a member of the national academic honor society of Phi Kappa Phi.